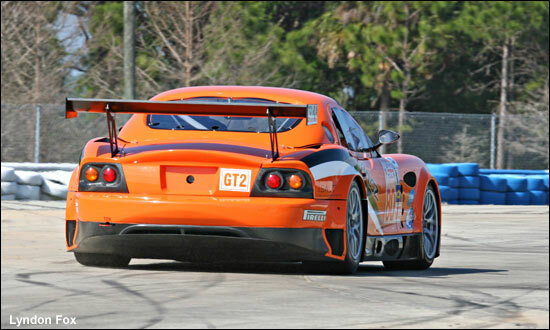 It’s been a hectic time for Team LNT and the new, Panoz-shaped odyssey. 25 test sessions at a wide range of circuits with all three of the Esperantes have led seamlessly to the first race outing for the car in Team LNT’s hands this week – at the Mobil 1 12 Hours of Sebring. The tremendous trio aboard the #80 for the 12 Hours of Sebring are Team Principal Lawrence Tomlinson, Commercial Director Richard Dean and Team LNT’s newest rising star Tom Kimber-Smith. 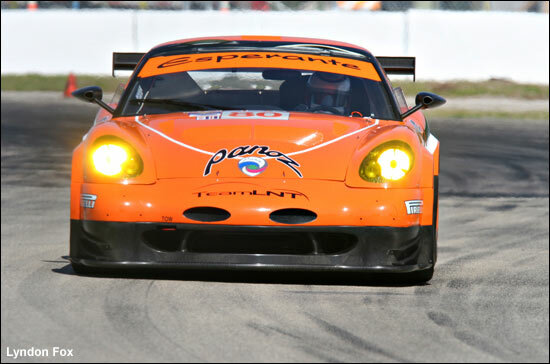 The car flying the very orange Team LNT flag is the third Esperante to join the team’s fleet, delivered fresh from the Panoz factory to Wheels Down testing earlier this year. After the Sebring event is all over, this car will be immediately shipped back to the UK to be prepared for its season long task of tackling the 2006 British GT Championship, with Kimber-Smith joined for the season by Luke Hines. For this week though the team has a clear set of aims and objectives: Race hard, Finish the 12 hours of Sebring, Finish as well as possible in what is a stellar GT2 field and Find out as much as possible about the Esperante in real racing conditions. The team knows all about the unique challenges posed by this most demanding of racetracks, its 2005 race, with a pair of TVR T400Rs, ending with significant reliability problems, the major reason why the team has opted to move over to the Panoz for 2006 and beyond. This year the team’s week has gone almost faultlessly: the team is finding chunks of time in every session, closing the gap to the Multimatic Panoz team which has far more experience both with the Esperante and with the Sebring circuit. 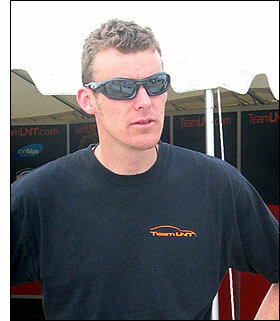 Rodney Farrell – Team LNT’s Team Manager – has been busying himself with the myriad of minor tasks which get a top class GT team to the grid and to the finish of a race like this. That it was Tom: a lap of 2:04.592 was just a second shy of the pole mark set by Panoz factory driver (and ex F1 and Aston Martin star) David Brabham, good enough for eighth in class and bettered only by teams highly experienced at Sebring. It’s worth remembering at this point that Sebring is Tom’s first ever GT race: in that context the achievement makes very impressive reading. The class battle in GT2 is being widely billed as a classic, with Panoz joined by top class teams running Porsche, Ferrari, BMW and Spyker race cars. Team LNT is far from daunted though. Lawrence Tomlinson and Richard Dean are deploying their trademark dry humour at every opportunity, to underline the team’s relaxed but hugely focused outlook. “We’ve completed somewhere between 700 and 1000 laps here in testing so far. Make no mistake we’re very serious indeed about this effort, this race and this season,” says Lawrence Tomlinson. Team LNT then will revert to the older part. It’s the classic balancing act that motorsport, and particularly endurance racing, always requires. Pace versus reliability. Saturday’s race will show whether the plucky Brits in their American car can conquer one of the world’s toughest motorsport challenges, the 12 Hours of Sebring.